The images were made-for-TV dramatic: Olympic torch-bearers ran through capital cities, encircled by two columns of Chinese guards and local police while protesters dove into their midst, struggling to wrest away the historic torch. The televised scenes in London and Paris early this month appeared to be a worst-case public relations scenario for China, host of the upcoming Summer Olympics, but for the three international corporate sponsors of the round-the-world Olympic torch relay, there was a small blessing: Amid the images of hand-to-hand street fighting, logos for Coca-Cola, Lenovo and Samsung Electronics were not readily visible. With the Olympics still months away, however, corporate sponsors may not remain so lucky. Human-rights activists, celebrities, political leaders and average citizens accuse China of repressing its population in Tibet, supporting a genocidal regime in Sudan and crushing religious and political dissent at home, and many are gearing up for further public pressure on China during the games. Meanwhile, Chinese authorities have said they will expel Olympic athletes who engage in “propaganda,” such as displaying a Tibetan flag. Could there be an unlucky photo or video clip of, say, Chinese police cracking a protester over the head in Beijing with a General Electric, Johnson & Johnson or Visa logo in the background? Of the 12 companies who are “Worldwide Olympic Sponsors” — the highest level of sponsorship, costing an estimated $70-plus million each — only one, Lenovo, is based in China. Wharton professors say international sponsors will have to dance a tricky two-step to reap the benefits of sponsoring such a hallowed, high-profile event while maintaining reputations for corporate social responsibility outside China. Shropshire says he expects sponsors to roll out public relations responses that focus on “the good they are doing in China.” So far, some corporate sponsors, along with the International Olympic Committee (IOC) itself, have expressed the idea that by engaging with China through the games, they can generate social good that would otherwise not exist. Take that effect and multiply it by the mammoth Chinese consumer market just beginning to surface. “With that many customers in front of you and the many business opportunities they represent, you do not worry about your return-on-investment [in sponsoring the Games]. You only worry about being outspent by someone else,” Zhang says. Since the IOC first set up official sponsorships in 1980, big spending has become the name of the game, according to Shropshire, who spent three years working for the 1984 Summer Games in Los Angeles. “In 1984, the cost of sponsorship was $4 million, up from $250,000 for the previous Games.” For the Beijing Games, the 12 Worldwide Olympic Sponsors have provided an estimated $866 million, which is divided among the IOC, national Olympic committees and international sports federations, according to The Boston Globe. The Olympics present companies with unique opportunities to reach the market of the host country, adds Shropshire, recalling how two Japan-based firms — FujiFilm and Brother Industries, maker of the Brother Typewriter — beat out U.S.-based competition to sponsor the 1984 Games in Los Angeles. “They had a specific strategy to get into the U.S. market,” he adds. “With the Beijing Games, more than any other, companies are using this as an opportunity to position themselves” in the host country, China. To date, U.S.-based corporate sponsors have seen little specific backlash from protesters, but in the meantime, U.S. public opinion has shifted significantly. According to a poll released this month from the Utica, New York-based polling firm Zogby International, 70% of American adults thought it was wrong for the IOC to allow China to host the Olympics, up from 44% a year ago. 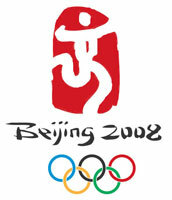 Prominent figures involved with the Games have also registered their disapproval of Chinese policies, including director Steven Spielberg, who withdrew from his job as artistic advisor for the opening ceremonies citing concerns about Darfur, and Nobel Peace Prize laureate Wangari Maathai, who dropped out of her scheduled role as a torch bearer over human rights issues. At least two runners in the San Francisco leg of the torch relay displayed small Tibetan flags. But if the sponsors are not forthcoming with evidence that they are taking the Darfur issue seriously, Dream for Darfur is ready to raise the temperature. In addition to releasing an updated report card this spring, the organization is planning protests outside the headquarters for U.S.-based Olympic sponsors, including Redmond, Wash.-based Microsoft, which is the software supplier for the Beijing Games, and organizing a “Turn Off” campaign for TV viewers to turn off commercials broadcast during the Olympics. According to the Zogby poll released this month, a majority of Americans (55%) said they would avoid buying Chinese products in response to Chinese violations of human rights in Tibet and elsewhere. Yet a higher number (71%) said a complete boycott of the Olympic Games by the U.S. would be hypocritical because of the many products the U.S. imports from China. The sponsors would do well to follow the lead of governments, many of whom are also trying to find ways to register their displeasure with Beijing without boycotting the games entirely, Henisz adds. The British Prime Minister Gordon Brown, for example, has said he will not attend the Games’ opening ceremonies, and President George Bush is being pressed to consider the same option. “Both governments and companies will make symbolic protests, like avoiding the opening ceremonies. Sponsors may step aside from some potential benefit or fund schools or pollution [clean-up]. They will look for a way to deflect public concern” over more difficult issues like Tibet, where Henisz says there is no easy “win-win” scenario.